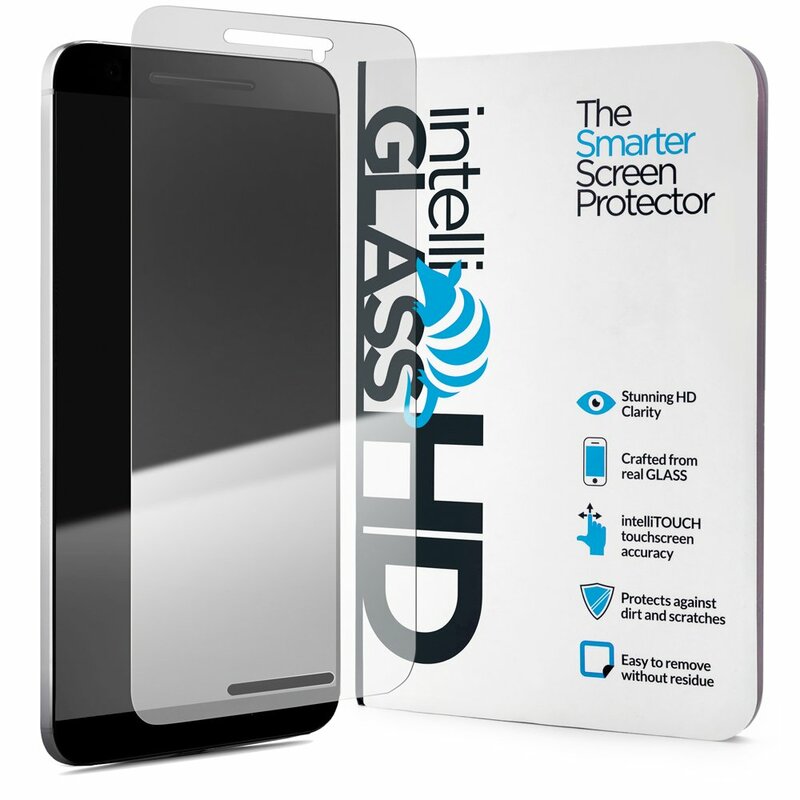 Home › Electronics › Nexus 6P Intelliglass Hd Max Coverage (0.2Mm)- The Smarter Nexus Glass Screen..
Nexus 6P Intelliglass Hd Max Coverage (0.2Mm)- The Smarter Nexus Glass Screen..
Nexus 6P intelliGLASS HD Max Coverage (0.2mm)- The Smarter Nexus Glass Screen Protector by intelliARMOR To Guard Against Scratches and Drops. HD Clear With Max Touchscreen Accuracy. ULTRA CLEAR - Designed for maximum transparency and touch sensitivity. The way your HD display is intended to be viewed! EXCEPTIONALLY STRONG - Crafted to have better scratch resistance than steel, so it can withstand hits and dings. Your Nexus 6P screen is completely protected with intelliGLASS and backed by our lifetime Hassle Free guarantee. SLIM FIT - Amazingly thin premium glass screen protection that is precisely formed to fit your device.